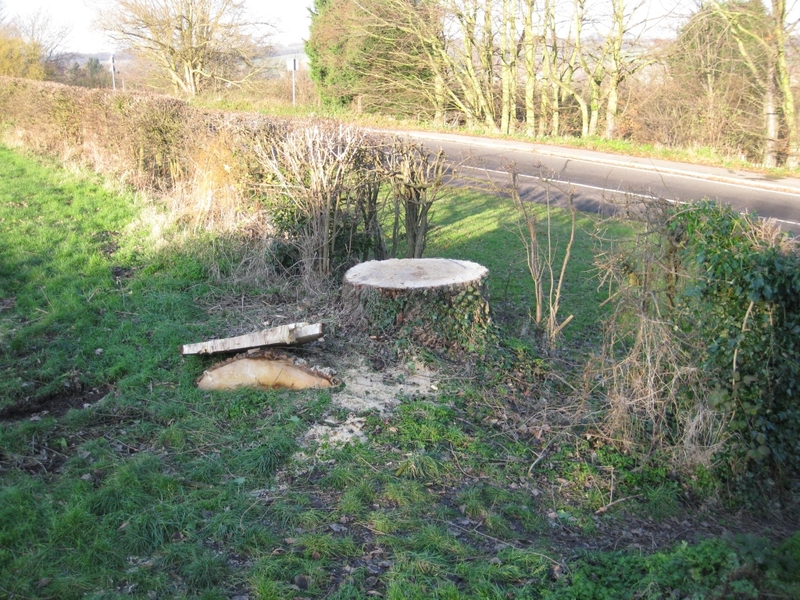 Travellers along Lower Road may be surprised to see the splendid Black Poplar at the junction of Kettle Lane has been felled. Cllr Mick Merritt, the tree warden and West Farleigh's representative for Kent Men of the Trees is especiall saddened. The poplar was a fine specimen of a fairly rare tree, about 75 years old, which had been a prized feature of the parish's arboreal heritage, and it had contributed to the parish's success in the annual village tree competition over many years. It may have been just another tree in the coutryside, but it was a significant one and I'll miss it. Such a shame! Why did this happen? Was the tree diseased? Was this legal??? ?